When performing as half of a duo, Lewi Longmire is not afraid to go out on a musical limb — even if it's on a partner's song he doesn't know particularly well. For the Portland-based musician, it's all about the payoff — or at least the potential of one. "I just like facing that possibility that — knowing something could go wrong — if it goes right, then you get a more palpable sense of relief and joy than what you get if you're in a safety zone and knowing everything goes a certain way," he says. "I like working without a net. Sometimes you fall and break a leg. But when you don't, it's exciting." 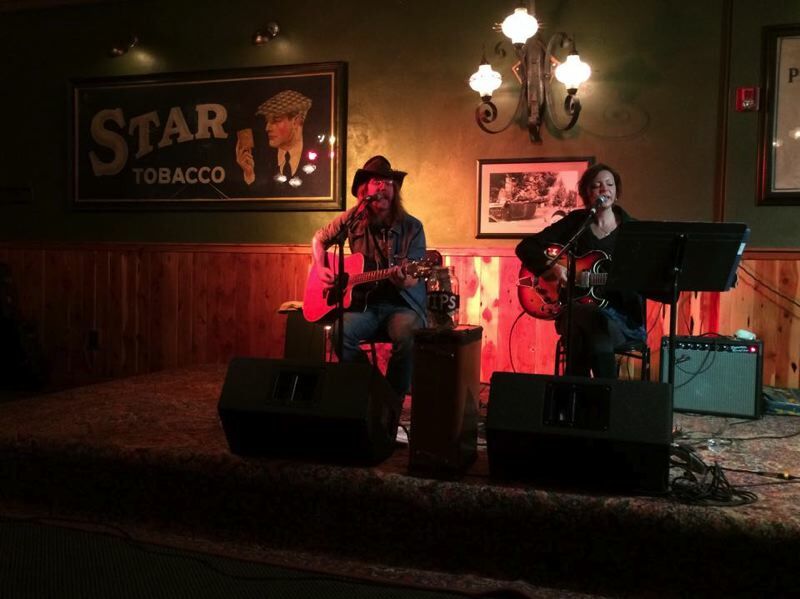 Given that Longmire will perform his Sunday, March 10, set at the McMenamins Edgefield Winery Tasting Room with his self-described "lady friend" Annachristie Sapphire, the excitement factor is likely magnified. "She's been traveling around the country playing for years, and relocated to Portland last October," Longmire says of Sapphire. "She does a lot of solo stuff these days and working with various backing bands. We're sort of sitting together doing my tunes and her tunes and passing it back and forth." 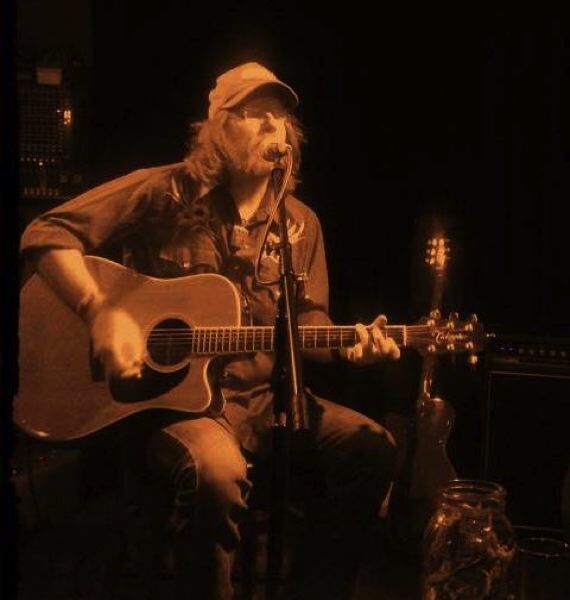 Longmire, a singer, songwriter and guitarist/multi-instrumentalist, fronts his own rock ensemble, the Left Coast Roasters, and has played with dozens of other Portland-area musicians since the late 1990s. The New Mexico native also finds time for solo acoustic shows, which is the basis of his long-running second-Sunday-of-the-month slot at Edgefield. "I started doing it as a duo with (Portland singer/songwriter) James Low," he says. "He left town to go to Malaysia, so I started doing a duo with Anita Lee Elliott." With Elliott now busy fronting her own band, Longmire has the flexibility to invite along whoever of his musical friends may be available, including Sapphire. As with his other duo partners, the performance at Edgefield will mix calculation with spontaneity. Longmire will draw from his deep catalog of heartfelt original songs and bottomless bag of less-obvious material by artists like Neil Young, Bob Dylan, Nirvana, Moby Grape and early Bee Gees. "It's typically pretty casual," says Longmire, 48. "We tend to work on a bunch of tunes (while) sitting around living rooms and come up with a general framework, a collection of material that will work. At the gig, we sit down and play what we want. If the other person feels inclined and confident, they can jump in and (embellish)." Longmire, a co-owner and music booker at the popular Laurelthirst Public House music venue in Northeast Portland, admits that playing in the corridor-like Edgefield Winery took some getting used to. "I love playing for McMenamins. As a company, they definitely support music and arts in a big way," he says. "It didn't used to feel good (there) years and years ago. They've put a lot of energy into it and have music there regularly ... Most of the things we've done recently, the whole hallway back to the bar gets packed with people. Most of the people are really paying attention and getting invested in the music." 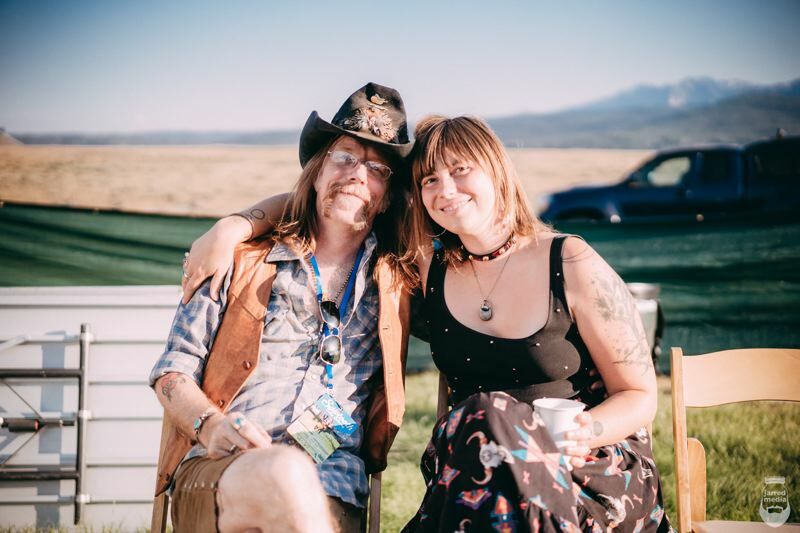 Longmire, who's played in many male-dominated rock and alternative country-leaning ensembles, is drawn to the indefinable spark that often happens when singing with a woman. "I think there's something really important about having a balance of male and female energy in a situation," he says. "There's something about the gentle, nurturing way of a woman's soul that (leads to) different vocal lines and interpretations. It can be incredibly beautiful. "One of basic, real richnesses of human musical life is voices raised together in song," Longmire adds. "There's some kind of magic there."